As experienced manufacturers of Plant Growth Stimulator, we offer these products that are natural liquids of sea algae and normally known as sea weed extract. Plant Growth Stimulators are solutions of gibberllins, natural plant growth hormones. These are eco friendly and do not harm the planet. They can also be counted as safe products for plants, people and pets. 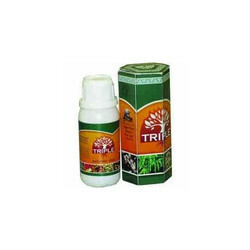 We offer the most preferred Plant Growth Stimulator called Ajanta Plant Growth Stimulator. These simulators contain carboxylic Acid, Amino Acid, Nitro Benzene, and Emulsifier. The yield of the flower will be increased and early or pre dropping of flowers will be ceased by using these simulators. These can be used at any time of plant growth. Plants synthesize Amino Acid from the Primary elements, the Carbon and Oxygen obtained from air, Hydrogen from water in the soil, forming Carbon Hydrate by means of photosynthesis and combining it with the Nitrogen which the plants obtain from the soil, leading to synthesis of amino acids, by collateral metabolic pathways. Only L-Amino Acids are part of these Proteins and have metabolic activity. We are among the distinguished names in the industry, bringing forth Plant Growth Stimulant to our valuable customers. Which is used on the berry plants as they help give a good shape, color, size, weight and sugar concentration to the berries and they have been priced at very reasonable rates in the market. We formulate this solution using optimum quality inputs and sophisticated technology. With expertise in protecting plants, we manufacture Bio Plant Stimulator that gives us the advantage of increasing the yield of flowers and fruits. Further, is avoiding early dropping of flowers and fruits. In addition, the stimulators increases the size of fruits and the flowers. 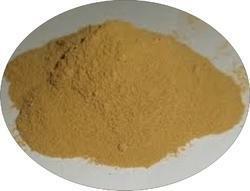 The composition of Bio-Plant-Stimulators is Carboxylic Acid, Amino Acid, Natural Brassinolide and other products. 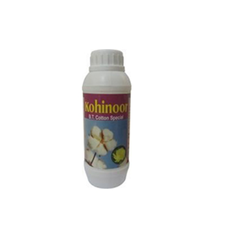 These are basically used on horticultural crops and are effective on any crops. The features of this product can be briefed as follows. Our organization is instrumental in offering a wide array of Plant Nutrient. It is manufactured using high quality raw material procured from the most reliable vendors of the industry. The product is widely appreciated by the customers and is used for beautiful flowers, lush green lawn, decorative and ornamental plants, fruits trees and vegetables. The manufacturing process is supervised by our expert professionals to ensure that no harmful chemicals are added and it is in compliance with industry set quality benchmarks. Plant soil supplied by can also be used for many other indoor and outdoor plants. Looking for Plant Growth Stimulator ?